This past week I was kept completely busy around the house and also with promoting my book. 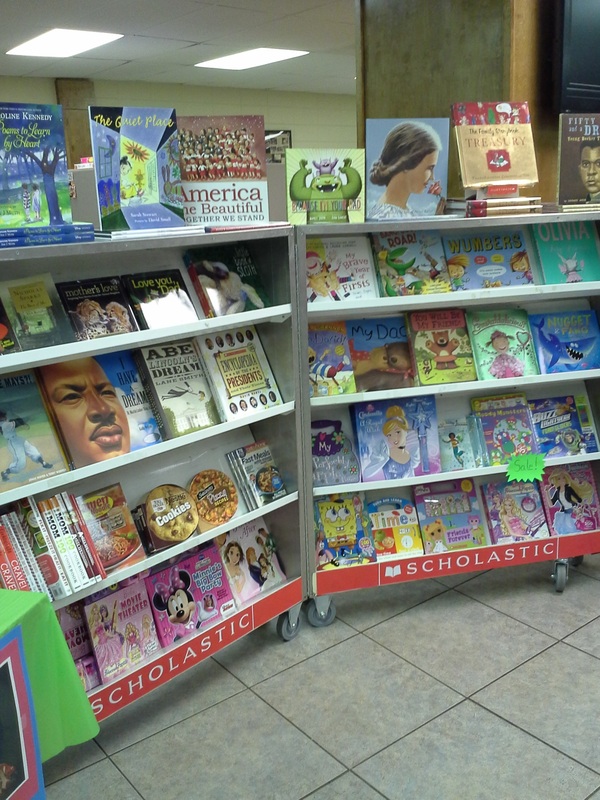 Not only did I have a full schedule with my daughter’s therapist coming to my house, but I had to work around those hours to drop books off at the post office. I even drove to Little Rock a few times to run errands. These next few weeks I’m going to be just as busy. There’s a saying from somewhere that it’s best to keep busy and time fly, then to be sitting around bored and time linger. 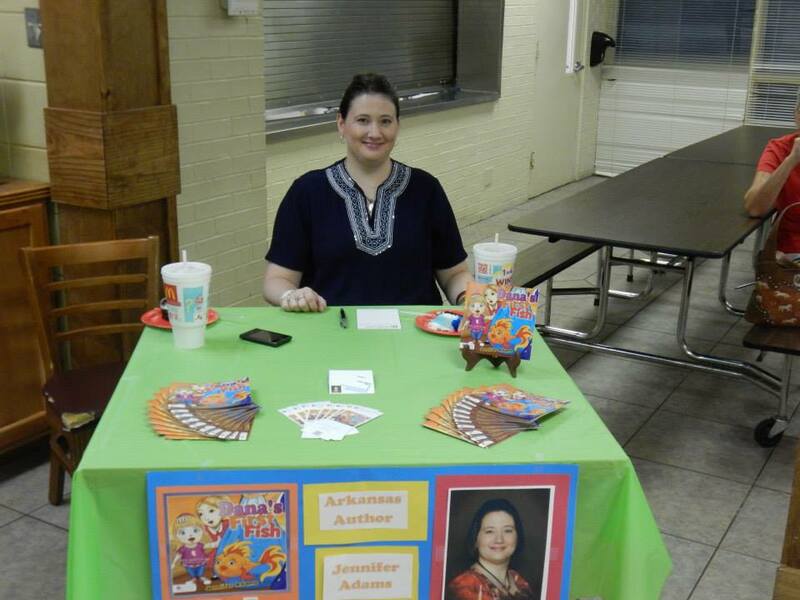 I had my first book signing this past Thursday at the Civitan Preschool. 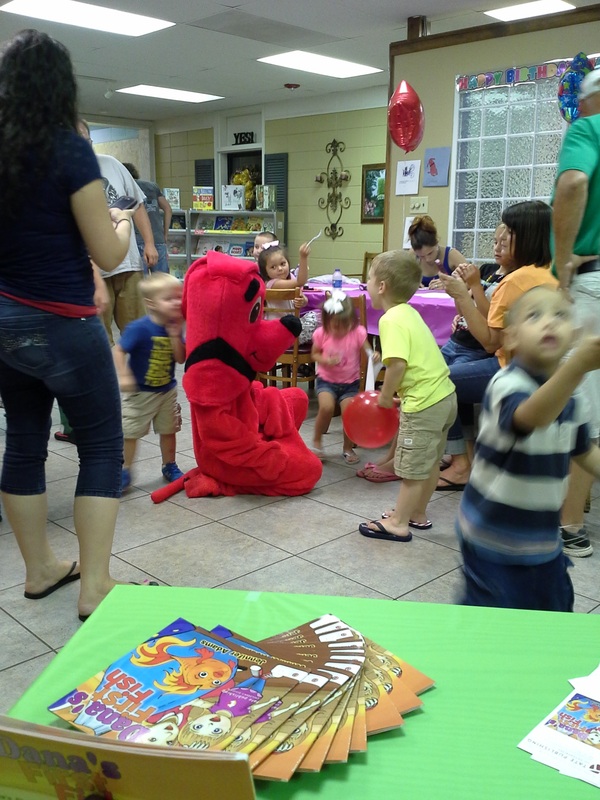 Clifford the big red dog made his appearance, making most of the kids hyper with excitement. My best friend Steaven Walsh came with me to help out with the event. We laugh and awed each kid that came by, heading straight towards either the big cake next to us or the big red dog standing next to the cake. Somehow they seemed more interested in pull on his tail or playing with his ears. A couple of kids cried at the sight of such a creature they’ve never seen before, which had all of us saying “Awe” at the same time. The parents tried a few times to show that Clifford isn’t that scary, but it wasn’t a successful ploy. I did however, sell a few books, autographing each one. I talked to a few kids about their first fish, learning that one little girl actually ‘bathed’ her fish. Yes, bathed! She dumped hand soap in the fish tank and yelled to her mom that she was giving the fish a bath. The event had a small turn out of people, but we were sure there would’ve been more to show up had it not stormed, raining out the event. A few of the ladies who were in charge of the event said that they will have it again next year and hope that it’ll be a better turn out. I added that I will be happy to hold another book signing for them. This week I will be having a book reading at the boys and girls club in Bryant. I’m really looking forward to it. This entry was posted in Blog and tagged author, Author Jennifer Adams, author Jennifer N Adams, book signing, children, Civitan in Benton Arkansas, Civitan Preschool, Clifford the big red dog, Clifford's 50th birthday, Dana's First Fish, kids, parents, single mom, single parents on July 21, 2013 by JenniferNAdams. Congratulations ! To have a book published is such an achievement ! Great stuff Jen I look forward to getting your book. When u have the therapists appt. Its. Sure makes life interesting. Yes, it does. But I like to stick around and observe and then ask questions lol!